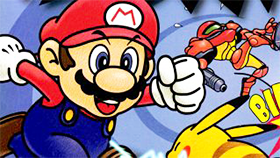 Baby Mario is an action game developed by PLAY4HOURS. This game has simple graphics, suitable for all ages, especially children and families. You can experience this game on your browser because it is a flash game. 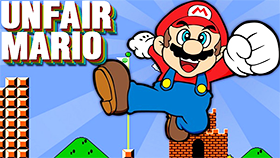 In this game you will control Baby Mario and your task is to help him overcome all the obstacles on the way to complete this game. You will be adventurous in a new mushroom kingdom, everything is very "baby", and this will bring you a very impressive feeling. Baby Mario can run and jump. Use this ability to overcome the obstacles on the way. This game still has gold coins and you need to collect them. There are total 7 levels in this game with each level being a story waiting to be explored. Good luck and have fun with Baby Mario.